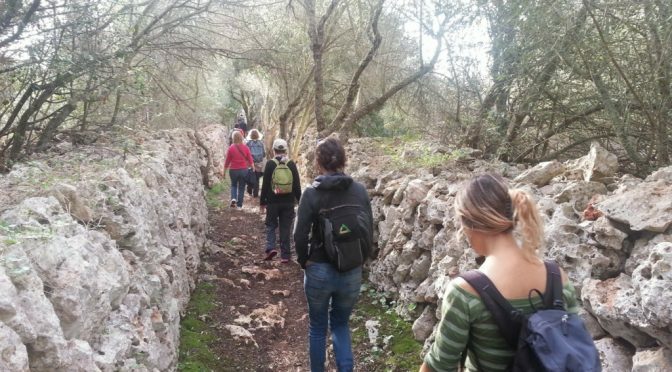 On Sunday 3 February there will be an excursion to the archaeological sites of Binicalsitx, Binimassó and Calafi. 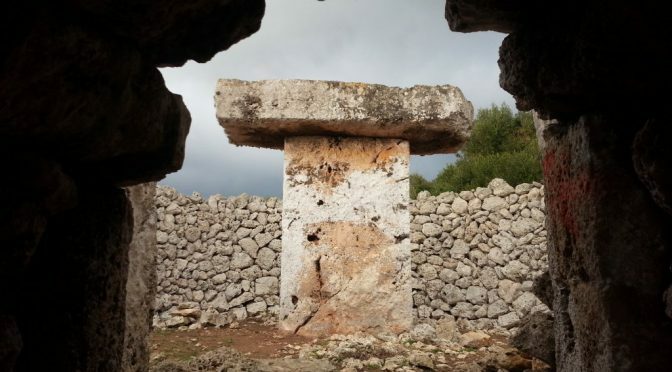 These archaeological remains are not very well known and form part of the long list of sites of Menorca which testify to the existence of prehistoric settlements. In Bincalsitx there is an enormous talayot, at Binimassó there is a table enclosure and at Calafi there are two talayots and a small hypogeum (a subeterranean construction). Interested people should meet at the Ferreries cemetery at 9.30 to leave at 10 am. It is a walk of low difficulty. The visit will be guided by an archaeologist. The return will be by foot to the start. It is not necessary to reserve. It is expected to end by 13.30. It is recommended to share cars with friends. The cycle “Are we Talayotics? 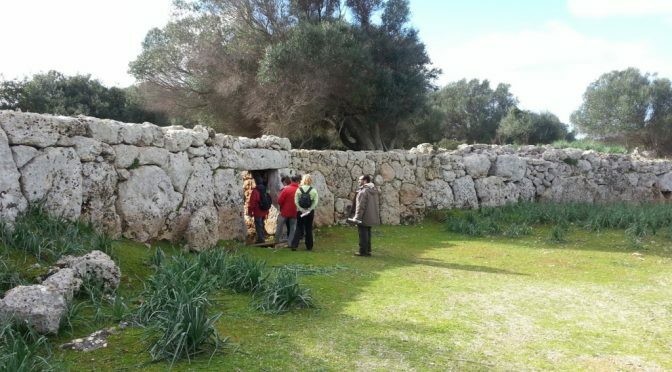 Life in Menorca then and now” is a programme organized jointly by the Consell Insular and GOB. Torrellissar and So na Caçana will be the places visited for the excursion programmed for 4 November. It is necessary to register for this as places are limited by filling in this form. 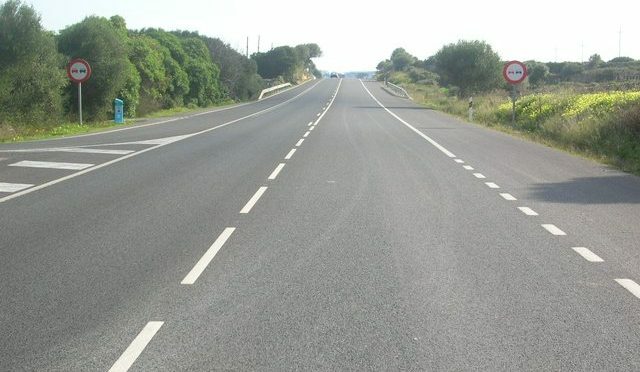 “A petition to reconsider the junction of Rafal Rubí was formulated by the representatives of six entities related to the culture and land of Menorca and is part of the controversy concerning the design of the main road. We think, however, that no other point of the road has generated as great a consensus between the entities as that concerning the modification of this junction. The work completed so far justifies their view and we consider that there are various aspects increasing the necessity for revision. 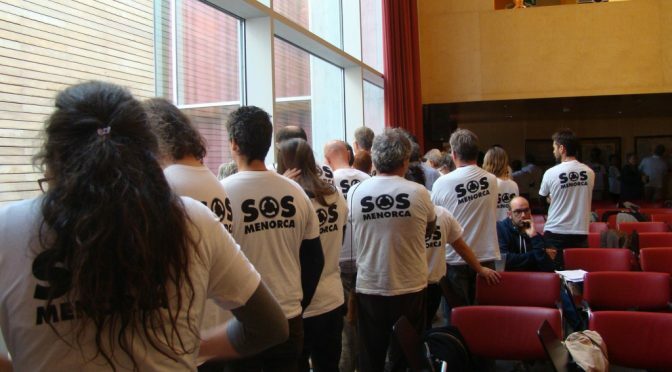 The technical report on the environmental impact of the project of the Me-1 road already warned that this junction was out of proportion, but it did not go into the proximity of the archaeological heritage site and so there was no consideration of any possible effects on the navetas. In this particular case, first the construction project of the road was approved (16 September 2013) and then the boundary of the surroundings of the navetas (11 November 2013). 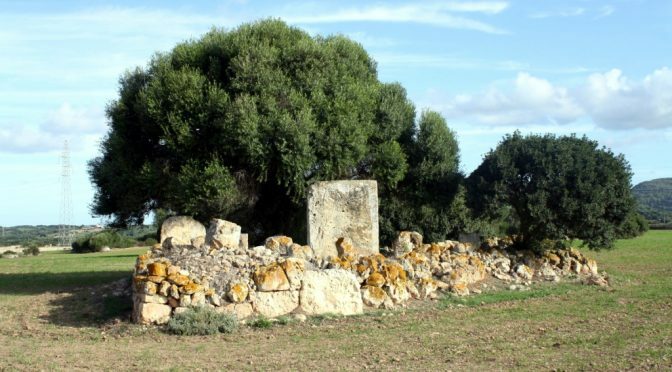 The importance of the boundary of the monuments is defended by the Law 12/1998 of the Patrimonio Histórico (Historical Heritage) of the Balearic Islands. Article 35 says that catalogued properties declared of historical and cultural interest are inseparable from their environment. Likewise, article 41 regulates the criteria for any intervention and says that the protected environment of the buildings of cultural interest cannot be altered nor the architectural character and landscape of the area nor any interference made to their ability for clear sightings. The boundaries of the areas of the archaeological sites are made following the “Instructions for the protection of historic sites” approved in part by the Decree 2563/1966. 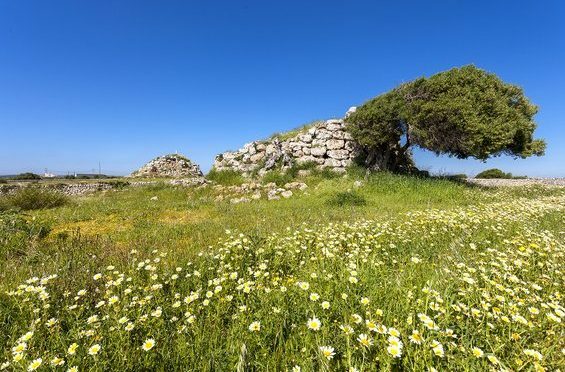 At the moment, there is no other document to rely on for dealing with these protected areas and work is carried out, therefore, with a law of more than 50 years old. Notwithstanding, a European Agreement on the Landscape approved in 2000 was ratified by Spain in 2008. From 2003, the Ministry of Culture developed a “Cultural Landscapes Programme”. Also concerning the aesthetics, number 68 of the Law of Town Planning (before number 69, the Law of Planning and Use of Land) which is and was for direct application and says “Conforming with the state law of the land, the installations, constructions and buildings should be adapted, in their key features, with the environment in which they are situated, meaning: a) constructions in adjacent places or which form part of a group of buildings of artistic, historic, archaeological interest, or are typical or traditional should be in harmony, or when, if not close to buildings, have some great importance or quality”. We consider the existence of the two navetas is covered by this act. 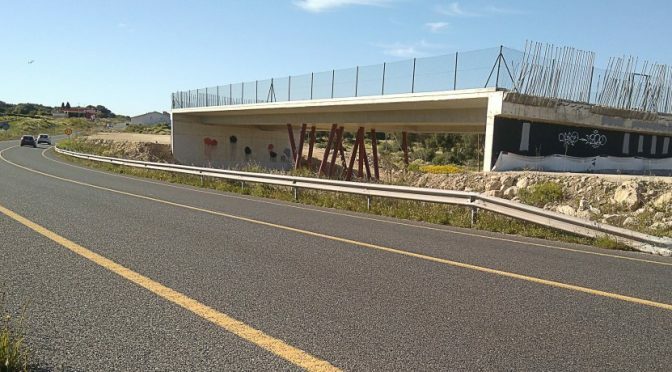 The project of the Me-1 does not only include the type of junction already finished at the entrance to Alaior, but also other types of intersections that have been built or are forecast along different points of the road, made for access and which do not impair the general layout. 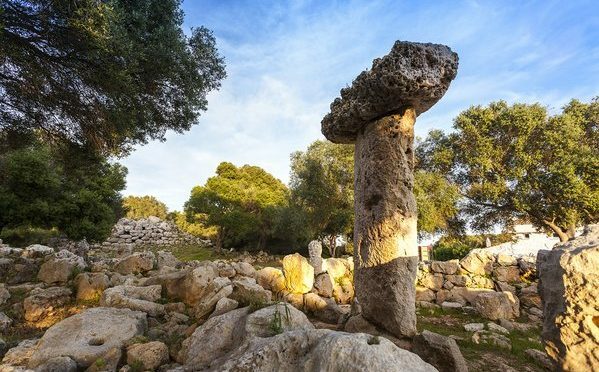 In the reply which UNESCO has given for the candidacy of Menorca Talayotica as a World Heritage site, it has asked that the archaeological monuments be included with their surrounding natural landscapes. The petition presented to modify the junction of Rafal Rubí explained that the way in which to respect the surroundings of the navetas would be for a junction at which the highest point of the structure is not above the level of the base of the archaeological site. The cultural landscape requires the integration of the surroundings with the archaeological site and does not allow the building of a structure which breaks the dominating view that megalithic monuments have always had. 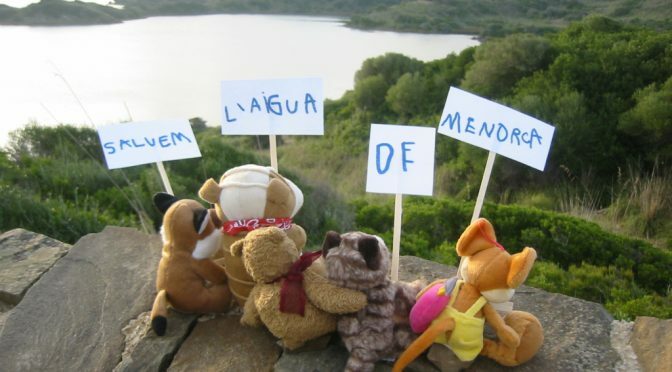 Signed by: The College of Architects, the Ateneu de Maó, the Institute of Menorcan Studies, the Archaeological Section of the Association of Graduates in Philosophy, Humanities and Sciences, Museum of Menorca and GOB.